Edythe waves as she drives away from Direct Relief's headquarters. 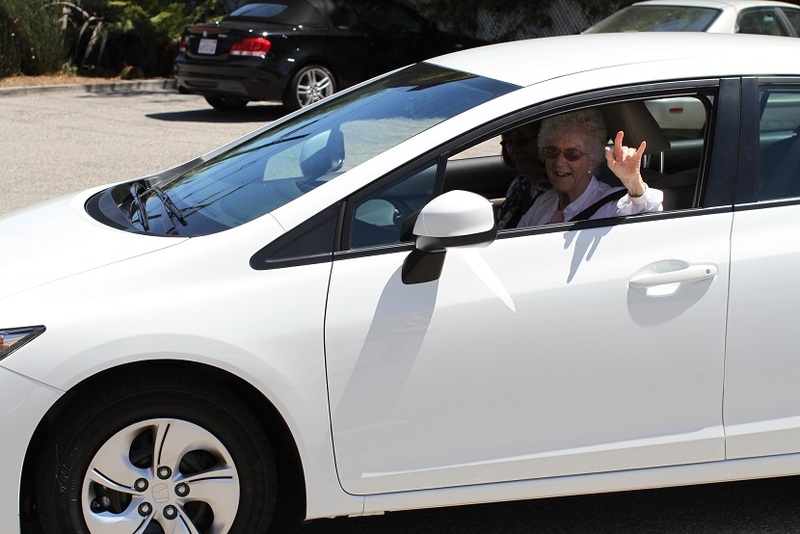 Direct Relief’s longtime volunteer, 105-year-old Edythe Kirchmaier, received a big surprise Thursday when she was gifted a brand new car from an anonymous fan. 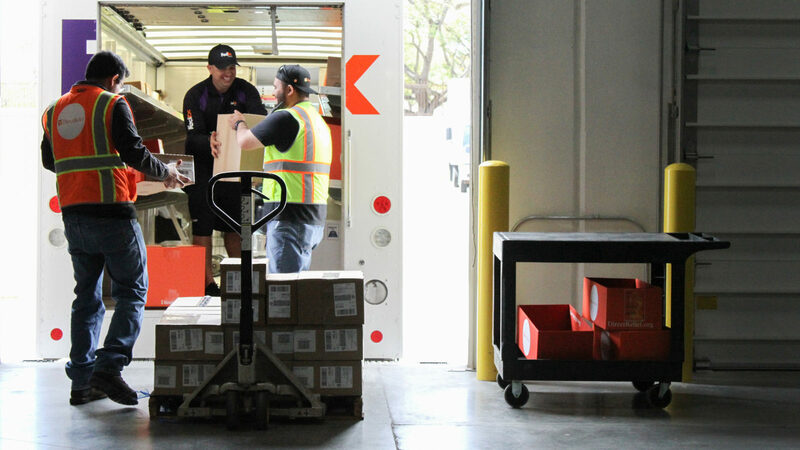 Kirchmaier has a perfect 86-year driving record with no accidents, parking, or moving violations. She renewed her driver’s license this January after passing her test with flying colors, making her California’s oldest driver. The Santa Barbara resident garnered international attention earlier this year with appearances on The Ellen DeGeneres Show, The Tonight Show with Jay Leno, and Access Hollywood Live in which she inspired the world to make a difference by raising awareness for Direct Relief’s work improving the health and lives of people in need. As the oldest registered Facebook user, Kirchmaier’s 105th birthday wish was to get 105,000 people to like Direct Relief’s Facebook page by lighting a candle on the world’s largest virtual birthday cake. Kirchmaier was given a brand new 2013 Honda Civic after the anonymous fan heard her 1997 Dodge Caravan was having lots of break downs and needing many repairs, jeopardizing her ability to continue volunteering at Direct Relief, as she has for the past 40 years. Driving since she was 19, Kirchmaier learned to drive on a Ford Model T.